Having clinched its first sale of a SANY SY750 excavator to a major coal-mining company, distributor Goscor Earth Moving (GEM), part of the Goscor Group, is confident that the new range will soon gain significant traction in the local mining, construction, and road-building industries. 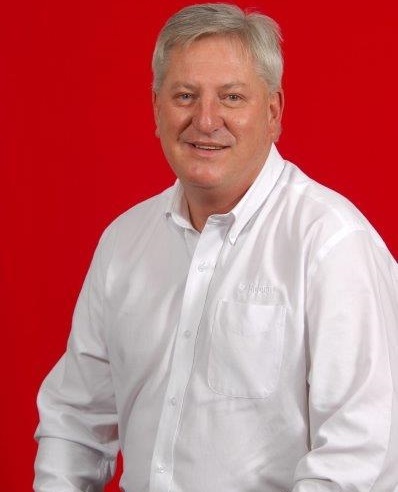 This is the view of Andre Steenkamp, newly-appointed General Manager of the SANY range under GEM. Well-known for its Bobcat range of compact construction equipment, the addition of SANY to the GEM portfolio diversifies its market penetration, as well as being a significant fillip for future growth into Africa. The current target market is larger end users such as contract mining and construction companies. “The SANY range comprises quality equipment that essentially delivers what its stands for, which is reliability and ease of operation. The key to cater successfully for African operating conditions is to have equipment that is relatively basic from an operator and maintenance point of view, but that is still quite technically advanced and robust,” Steenkamp elaborates. SANY, for example, features quality components from global OEMs such as Mitsubishi, Isuzu and Kawasaki. Commenting on the relationship with GEM, Steenkamp says that SANY in South Africa has now been afforded a high-level partner to consolidate the brand’s local presence. “The willingness of the Goscor Group to invest in the SANY range is indicated by its extensive stockholding and parts inventory. “This investment is growing monthly. For example, our first order for front-end loaders was for two, followed quickly by four more, with our latest order expected to be for ten units. That shows that the trust in the brand is implicit, and also reveals the benefit that the Goscor Group can bring to SANY locally,” Steenkamp highlights. While the SANY group has allocated a South African representative to provide local assistance with technical back-up, GEM itself has appointed a technical specialist who has received extensive training in China on the SANY range. “The idea is for us to be able to offer 24/7 aftermarket support,” Steenkamp stresses. A significant component of this is the standard warranty offered by SANY, believed to be the most comprehensive in the market at present. GEM also has 12 sales staff in total allocated to the SANY brand, with representation in major areas such as Kathu, Middelburg, Cape Town, and Durban. “Our strategy for the moment is to secure the brand in South Africa, whereafter we will look at select markets in Sub-Saharan Africa. In the interim, we will ensure that all the necessary infrastructure to support and promote the SANY brand is entrenched first locally before we roll it out elsewhere,” Steenkamp concludes.